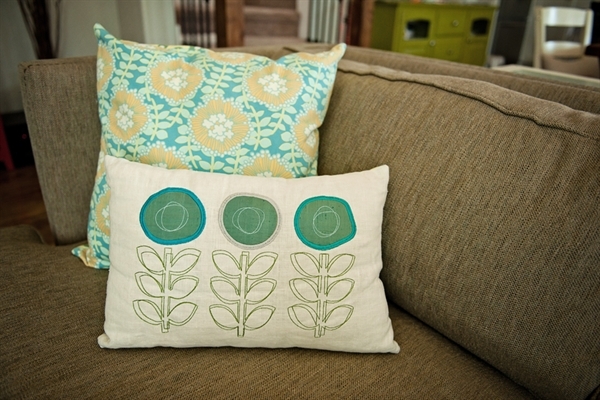 This applique of poppies is modern and retro at the same time. 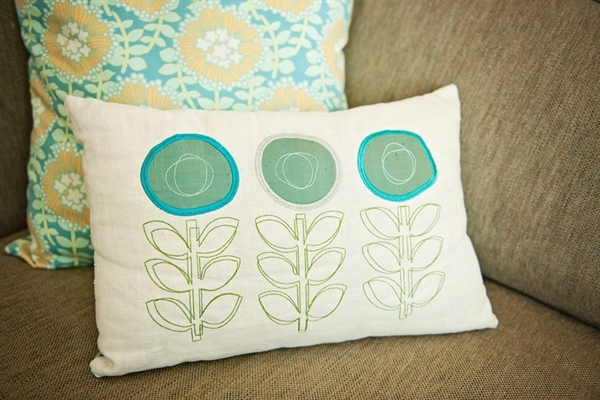 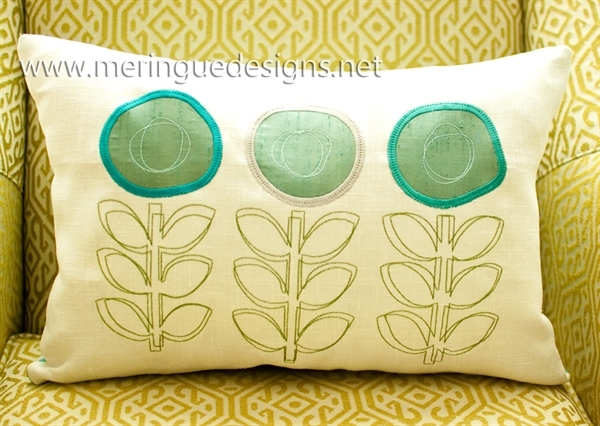 You have the option to stitch them as a trio (seen on the pillow) or as a single poppy. 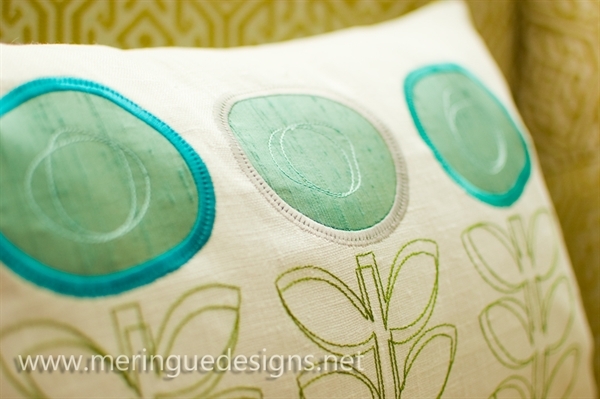 Only the large 8x12 design has the topstitching line across the satin stitches of the round poppy. 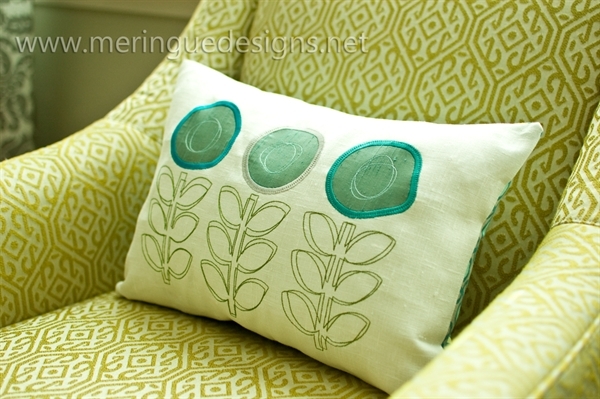 That's because that design is so big that the satin stitches of the poppy would be easily snagged and fray. 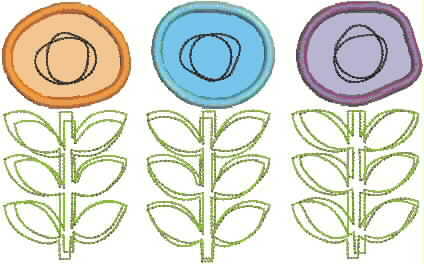 The other sizes do not have the single topstiching, as seen in last clipart photo.